In Sabina, an elegant and breathtaking retreat centre in the heart of the Sabine Hills, offers spectacular views and a magical setting. 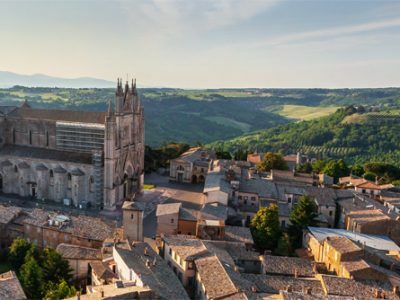 Less than an hour north of Rome near Umbria, In Sabina lies in the midst of the untouched Italian country side. 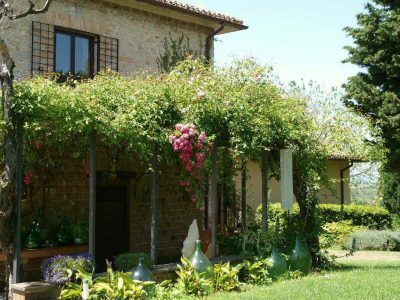 The property is peaceful and rustic, offering a haven for spiritual practice, relaxation and rejuvenation. 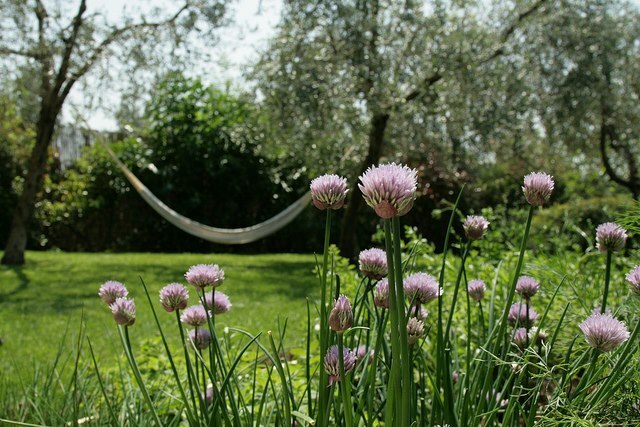 The retreat centre’s grounds are lush and abundant with lovely gardens, a pond, a natural spring and swimming pool. 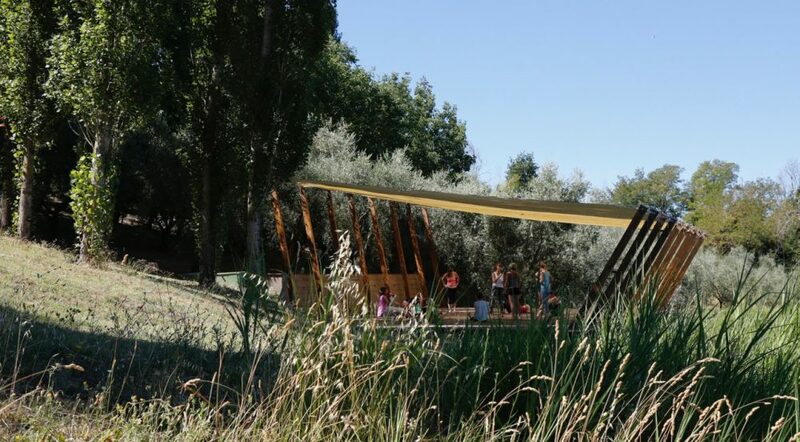 The perfect location for stunning sunsets and nature walks. 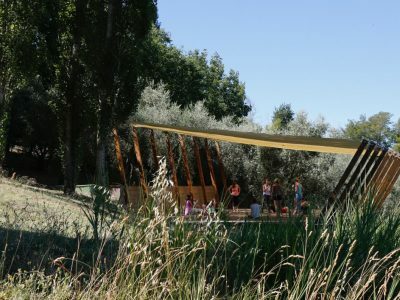 The yoga practice will be held outdoors on the magnificent wooden yoga platform overlooking the lush valley or in the serene and tranquil indoor yoga space with views over the hills and vales. The morning class will gently open the body and attune the mind to the breath and slowly move and build into a deeper exploration of the poses. The group will meet again in the late afternoon for a more gentle and restorative class. The holiday is suitable for all levels of ability. Three delicious Italian/vegetarian meals will be served daily. On one evening, there will be dinner out at a local restaurant. 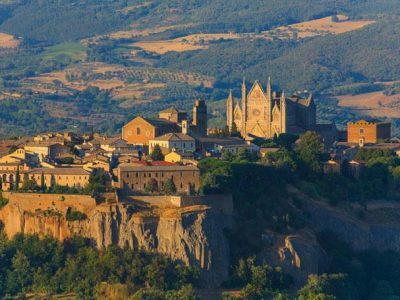 Also, an optional day-trip excursion to Umbria will be available for those who would like to explore the culturally rich hill town of Orvieto (on the yoga free day). 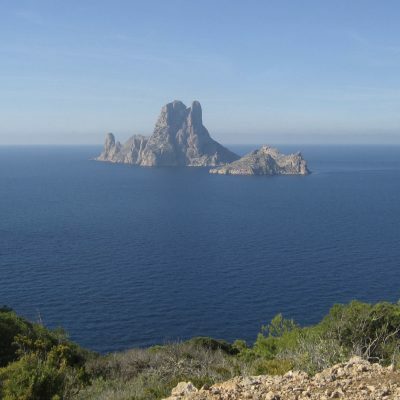 One could quite easily while away a week of deep rest and rejuvenation here. 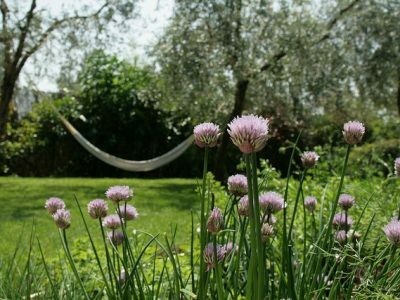 Relaxing by the swimming pool, having a massage treatment with an excellent therapist, finding a quiet secluded spot with a good book or taking a walk in the stunning natural surroundings. 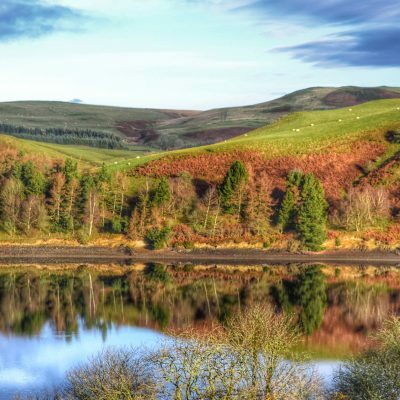 There are nice walks from the house and even better ones just a short drive away. The area is rich in sites of historic and natural beauty. 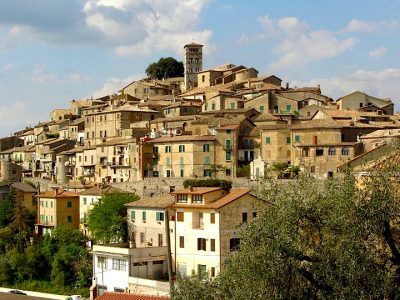 Only 10 minutes away, the charming medieval hilltop village of Casperia is a favourite haunt for In Sabina groups for dinner out on a Friday evening. 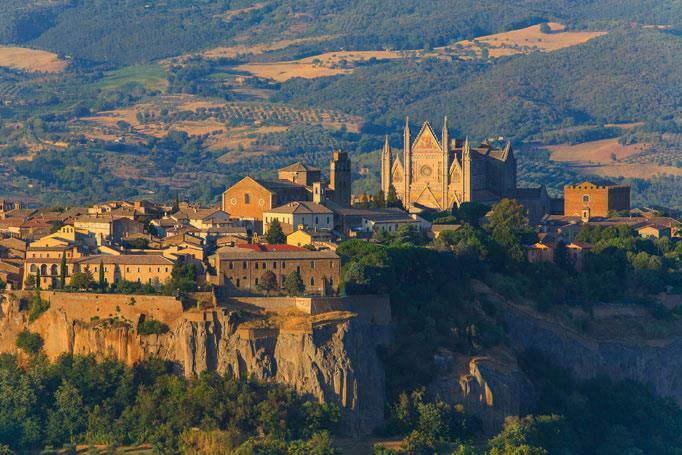 An optional day trip to the culturally rich hill town of Orvieto, just an hour away, is also offered during the week. The exquisitely restored 17th century stone buildings have been converted into accommodation and overlook a panorama of olive groves and fruit trees. 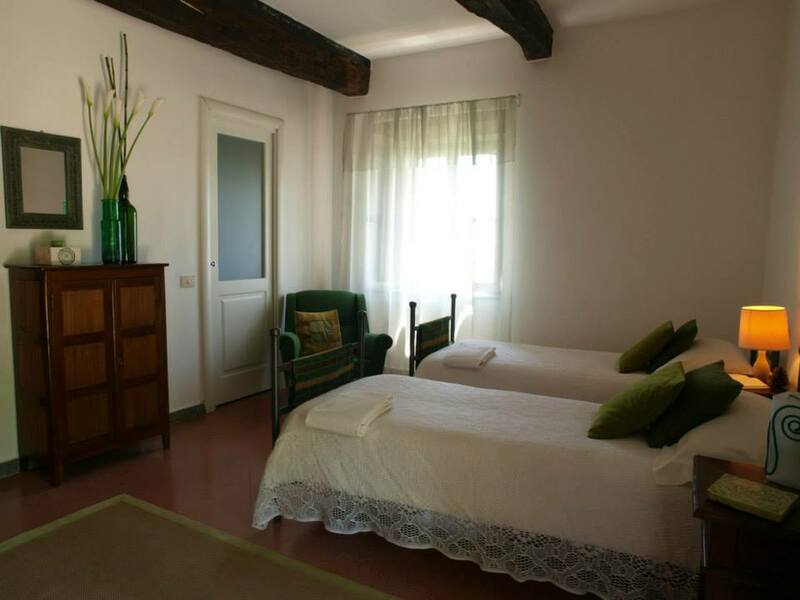 The rooms are designed in a simple, natural style, with a combination of new and antique furnishings. Four of the bedrooms are en-suite, the other rooms share a bathroom between two rooms. All accommodation is shared between two or three people with limited availability for single occupancy. 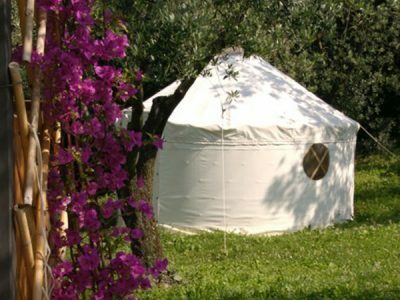 There are three single occupancy yurts close to the pool area with an outdoor shower and shared indoor bathroom facility. 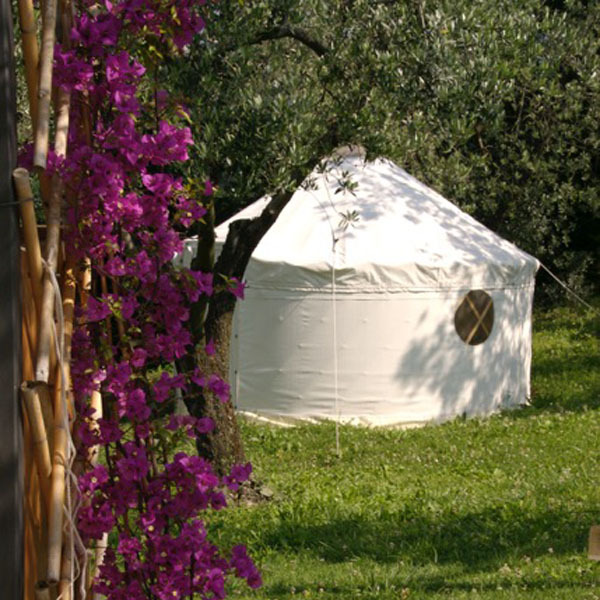 The yurts can be warm in the day but sometimes cold at night. There is no electricity inside - just simple solar lighting. They do not suit everyone - only those who like ‘comfortable camping’. I had such a wonderful week thank you - Lara was an incredible teacher. 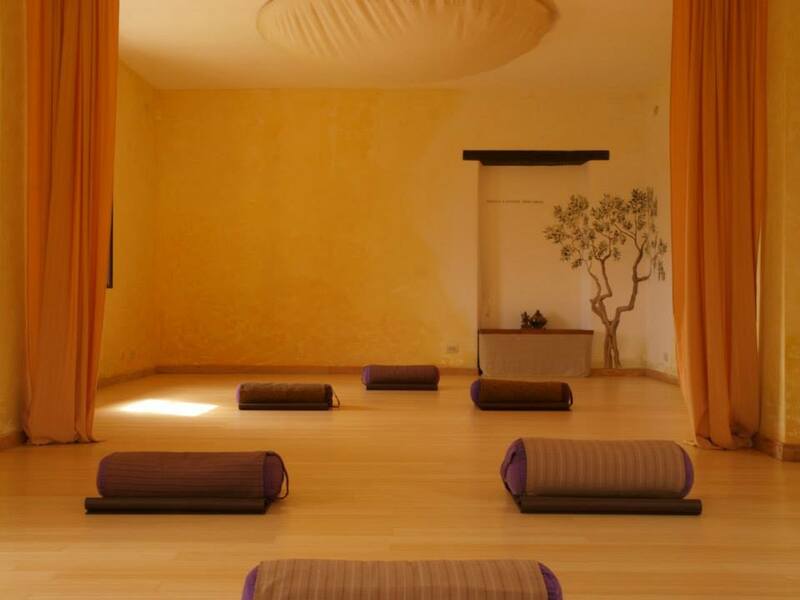 I loved my introduction to Scaravelli yoga and her enthusiastic, energetic approach. The classes were long but restorative and holding poses for longer enabled us to release from deep in the fascia...I felt an opening in my hips and shoulders and an awakening of my spine, which was wonderful - even my feet are much more spread and dynamic! 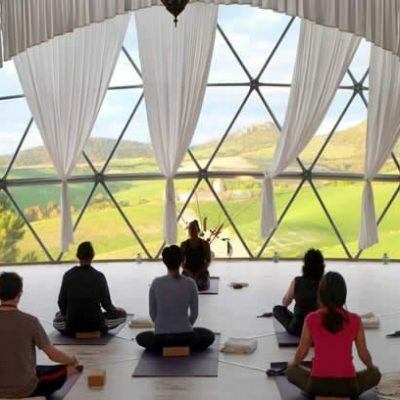 The focus on pranayama and meditation was also excellent, as they often get forgotten for the asana and are such a crucial part of the practice. 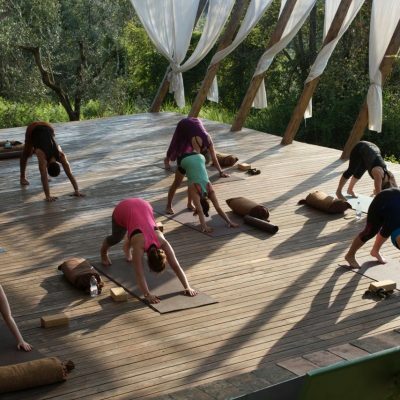 I would like to thank you for arranging the most amazing yoga holiday which surpassed even my best hopes for the week. Lara is a teacher on a different level. If there was a bronze, silver and gold level, Lara would undoubtedly come in at the platinum level. A great experience, looking forward to booking my next YOAS holiday because the learning about yoga was like one careful breath towards coming home to my body. Thank you so much for a truly wonderful week of yoga and getting in touch with my inner me! It has been inspirational and lots of fun too. I have learnt so much that I will now try and apply it to my own yoga practice (my new resolution is to do at least one proper practice at home per week and I now have the confidence to do that!. My downward dogs will be never be the same again now I know I should be treating my spine like a living breathing animal! The yoga and the spiritual journey that the yoga connected us to during the week was immense. Lara's style of yoga is simply inspiring. I was honoured to watch each of the 16 in the group change and expand their practice as the week went on. My body and mind were nurtured beyond my wildest dreams and in the space of one week I came back feeling refreshed, full of vitality and with an amazing sense of peace and well-being. 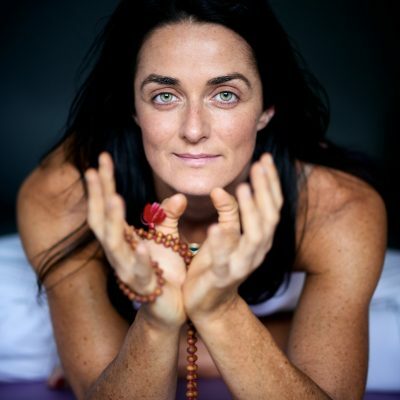 Lara is passionate, intense in her belief of the body mind connection and is almost obsessive with ensuring her students get the very best from her class. She takes time with each individual, she doesn't rush, she listens to and reads her group and somehow manages to push you and get you to go far beyond what you think is possible without you realising you're being pushed. She has inspired me, helped me grow and has touched a part of my soul this week that I will never forget. Quite simply - she is outstanding!! It is a good idea to book your flights as early as you can for the cheapest deals. It is best to take a flight arriving between 12 midday and 4pm. Rome has two airports: Leonardo da Vinci (Fumicino) and Ciampino. Leonardo da Vinci (Fumicino) is the best option for the shared group transfer. However a transfer can also be arranged from Ciampino. There are many airlines that fly to Rome direct including Easyjet, Ryanair and BA. Please note that arrival time at In Sabina on 14 July is between 4.30pm and 9pm. In Sabina cannot receive guests before then. The latest departure time on 21 July is 10am. The earliest time a minibus can leave the airport is 3.30pm and we suggest that if you are on an earlier flight that you wait there. You will be advised of the exact meeting point nearer the time. If there is a group arriving at Ciampino airport then a transfer from there can also be arranged for the same price. Departure from In Sabina is by 10am on 21 July. There is no direct train from Ciampino Airport to Stimigliano Station.